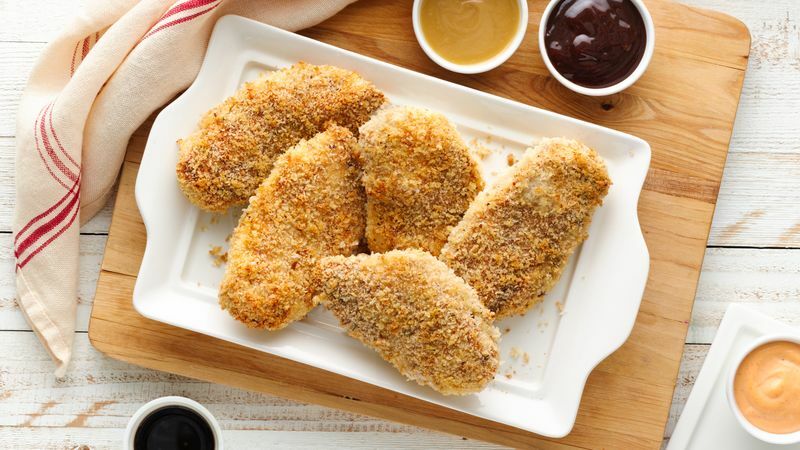 Swap out two (14 oz) packages of chicken tenders for the breasts and thighs for a kid-friendly or appetizer-sized version. Just reduce the bake time to 15 to 18 minutes. 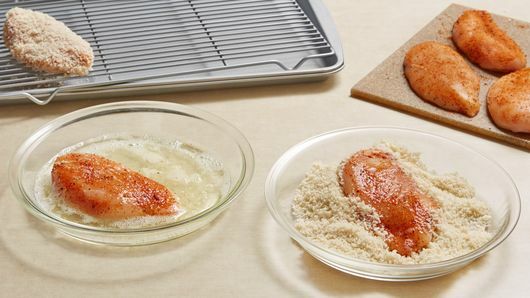 Can’t fathom calling it “unfried chicken” without drummies on the platter? 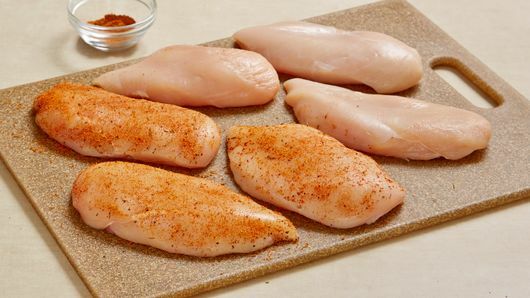 Bone-in drumsticks, wings, breasts and thighs work fine in this recipe, too. 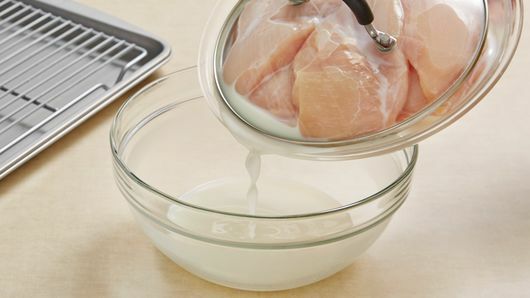 Just be sure to lose the skin and leave in the oven a few minutes longer to make sure the chicken is fully cooked inside.